Many people in the city of Flint still do not trust their tap water is safe to drink. But Lewis-Patrick doesn’t see either Democratic candidate Gretchen Whitmer or Republican candidate Bill Schuette proposing enough to deal with the water problems Michigan is facing. “We have not seen the kind of visioning and transformative thinking that it’s going to take to fund our infrastructure, and to also insure that everyone in Michigan has access to that quality water source,” says Lewis-Patrick. 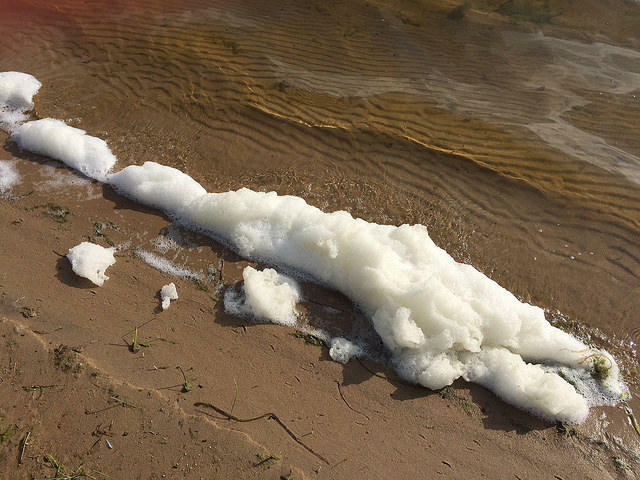 Whether it’s PFAS or water affordability, the activists say state leaders in Lansing need to do more. Standing with the activists was Emily Sioma. The 2018 Miss Michigan has made raising awareness about the state’s water issues her platform issue. She says this should not be considered a political issue. Sioma says she has received “very minimal pushback” for her call for clean, safe drinking water.